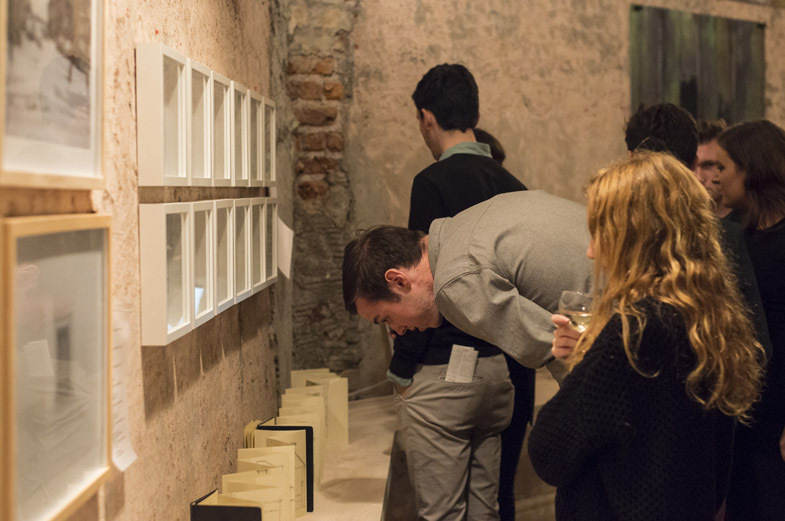 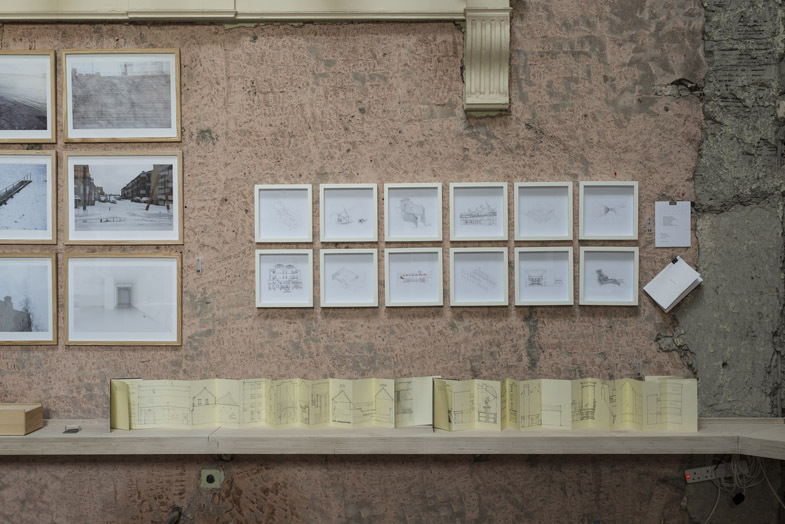 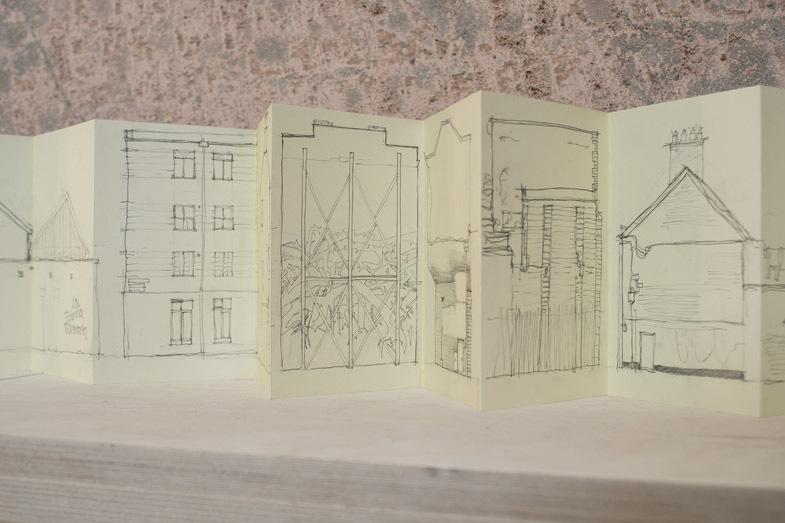 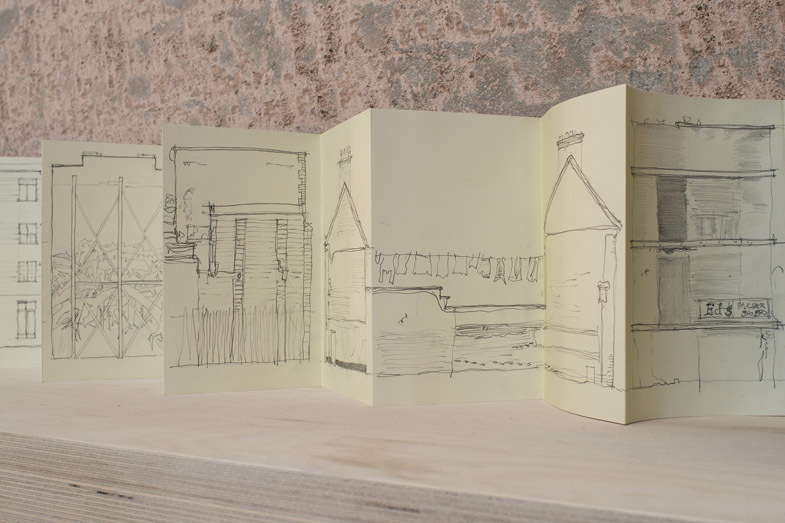 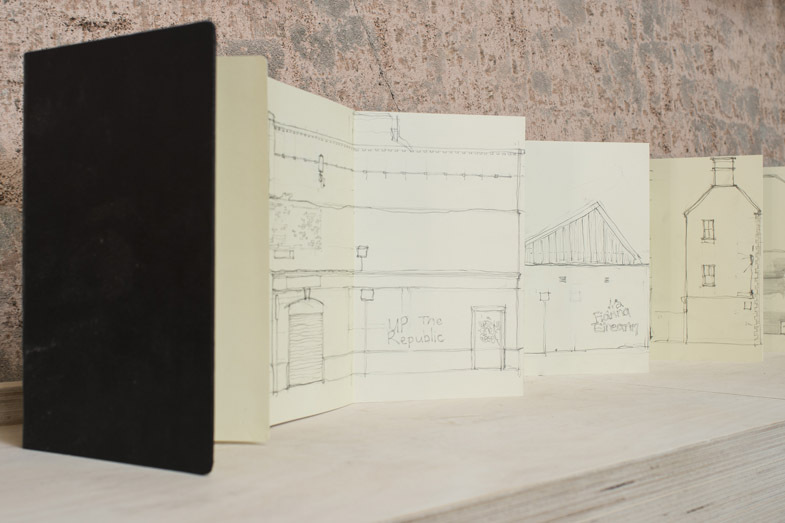 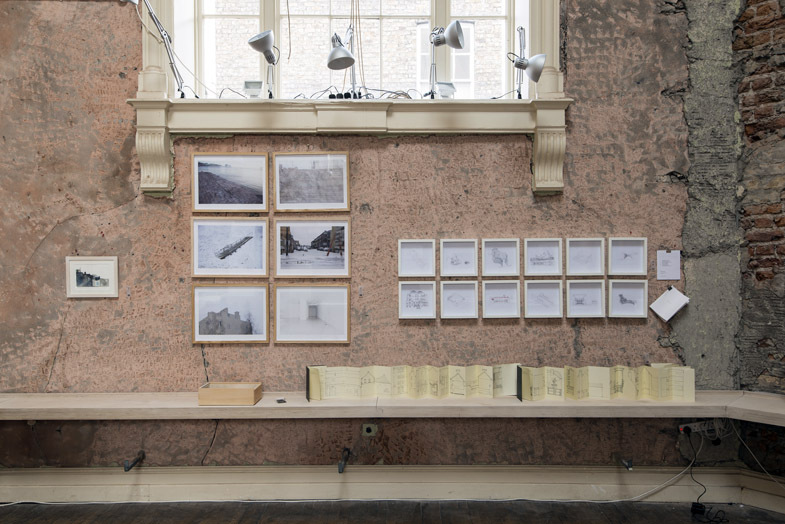 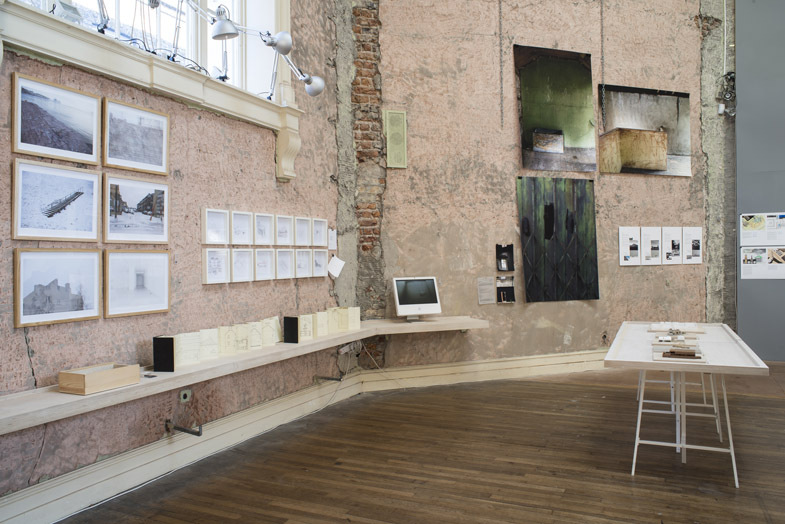 The drawings within each sketchbook create a form of map which records the gable walls of buildings within Dublin 1 and Dublin 2. 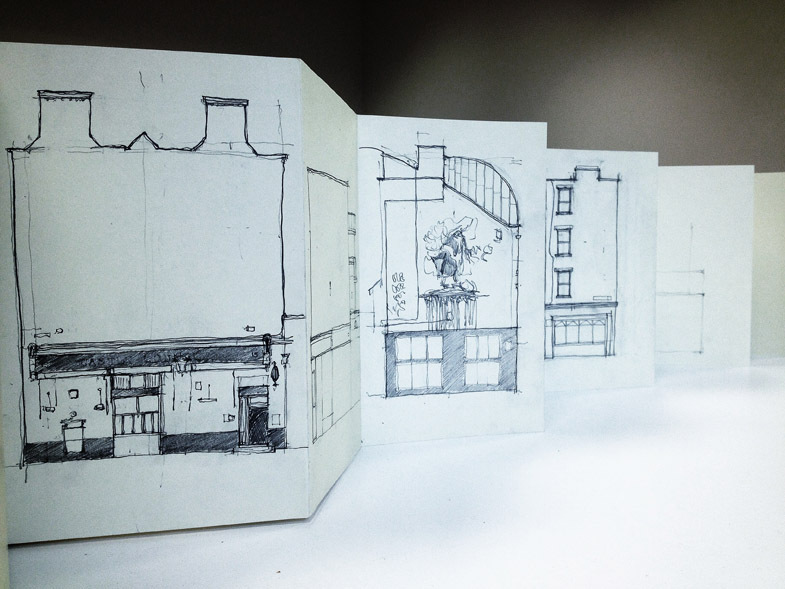 While often unseen but in plain sight, the gable can passively and actively engage in the public realm. 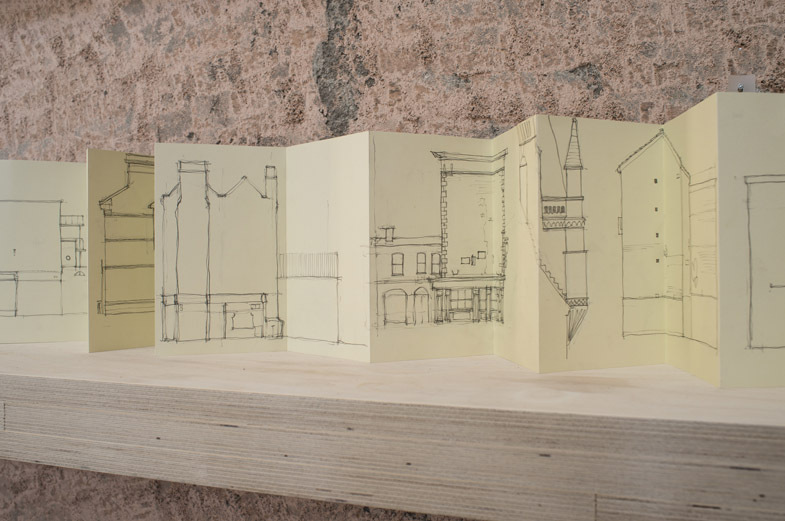 The act of recording the gables aims to open up further discussion on the role they have in adding to the making of place while also absorbing the collective memory of physical, societal and subconscious changes to the city. 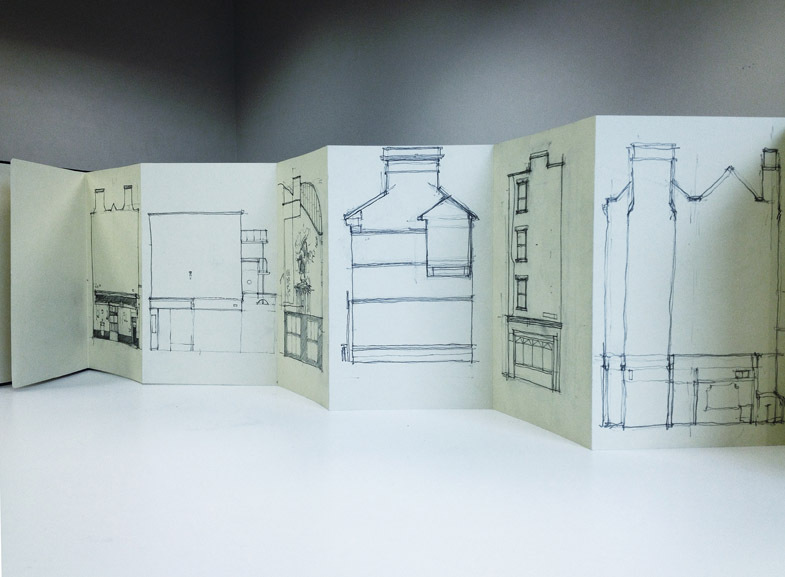 The aim is to continue recording the gables after the exhibition, taking a wider scope across the city and suburbs.